Rural Arizona land soil types vary greatly. Soil type has implication for building structures, for drilling a well, for gardening and for septic system installation. How to Find Out the Soil Type? You could hire a soils engineer to evaluate the property you are interested in or you can have your rural agent find, in Arizona anyway, the original public report which has to be filed by the subdivider or developer of the land to see what soil anaysis is already reported. If there is no compressive or expansive soil in the report, you can locate your building site where you want it. The well driller will also consider the soil type when evaluating possible well sites. Sometimes the well can be stable with PVC and sometimes a steel casing is needed. The driller will furnish an estimate based on past wells in the area and let you know the best place to drill for water. Gardeners will also want to look at the soil and ask successful growers in the area about their experiences. 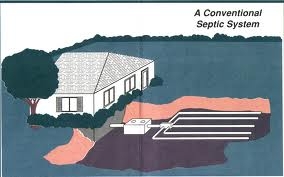 Septic Systems and Perc (Percolation) Tests? A perc test is performed when a licensed contractor sends an engineer or technician to your prospective property and locates the “spot” on the property where you are most likely to place your future septic system. He then digs a precise hole of a specific depth and dimension. He pours a measured amount of water into that hole and carefully observes with a stopwatch how long it takes for that water to “percolate” into the soil. That’s why it is called a “perc test”. The results of your perc test tell you whether or not your soil drains well and whether you can or cannot have a traditional septic system. In our area of Northern Arizona that means you can either install the $5,500 traditional septic system or $7,000- $13,000 for a non-traditional septic system.